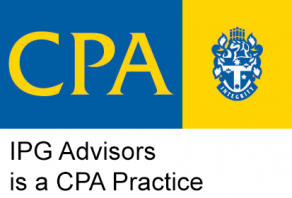 The Ivey Piper Group (IPG) Advisors was founded in the early 1980s by former Australian Taxation Office employees Geof Church and Donald MacNeil. Geof and Donald opened the first office in Bridgetown under the name Church MacNeil. A foundation was built providing experienced, professional accounting and business advice throughout the South West of Western Australia. The firm has since grown into a leading advisory firm with accountants and advisors across three offices in Bunbury, Margaret River and Bridgetown. The Ivey Piper Group has expanded into three offices in the South West with a clear vision of growing and providing clientele with the technology and services they need. Led by two experienced directors– Mark Ivey and Garret Piper, IPG Advisors has a mission to deliver industry leading financial and accounting services that will continue to support our clients’ growth with security and control. Early adopters of leading cloud based technology, IPG leads the industry in the financial technology space through our automated systems which streamline operations and reporting for our clients leading to less time spent on their accounts, and more time focusing on their business. This provides real-time information to businesses. But real-time information isn’t terribly useful without the insights that decades of experience provide. Insights without a clear plan to apply them and without the experts to make it happen is also incomplete. That’s why we’ve built a network of associates who with us, provide our clients with high-quality complementary services. For all our clients, this combination not only optimises their financial return on investment but can be their competitive advantage when they work with us.